Mallesham ran a very successful crowdfunding campaign 2 months ago on Fueladream & raised over 4L INR for this machine. Those funds will be used to change the lives of 20 weaver families who will now be able to afford this machine. This is the 2nd crowdfunding campaign and aims to impact some more weaver families. Fund this amazing invention and transform lives of women in rural India. 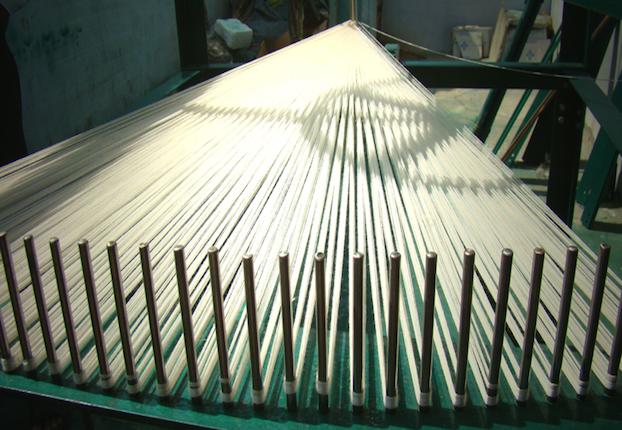 Laxmi is from a weaver family that makes the famous Pochampally sarees (In TELANGANA state). She used to move her hand 18000 times to get 25 kms of silk thread to set the 2 ASU patterns a day for 2 sarees. 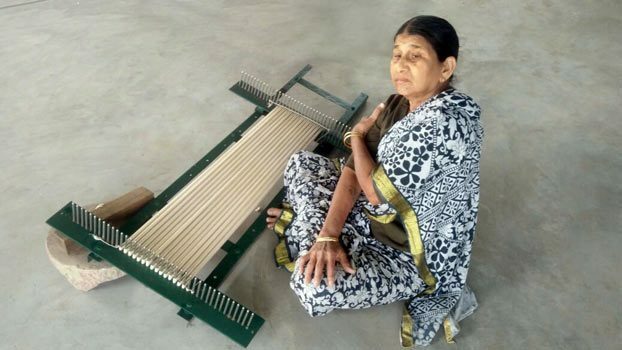 Her son Mallesham dropped out of school and made a machine to reduce the ASU (pattern making) time for a Pochampally saree from 5-6 hours to just 1.5 hours! Read the story about this MOTHER OF ALL INNOVATIONS & fund the campaign to help change the lives of more Laxmi&apos;s.
Pic: Laxmi, Mallesham&apos;s mother massaging her arm to ease the pain. Having watched his mother Laxmi struggle for years & be in constant pain while doing the ‘ASU’ (pattern setting) for weaving Pochampally sarees, Mallesham Chinthakindi, decided to find a way to remove her drudgery, make her life easier and make the ASU process faster. He could not bear to see his mother suffer every day. His mother would move her hand 18000 times to get 25 kilometres of silk thread to set the 2 ASU patterns a day for 2 sarees. The pain in her arms & shoulders was sometimes unbearable & all that drove her on was the need to make ends meet. 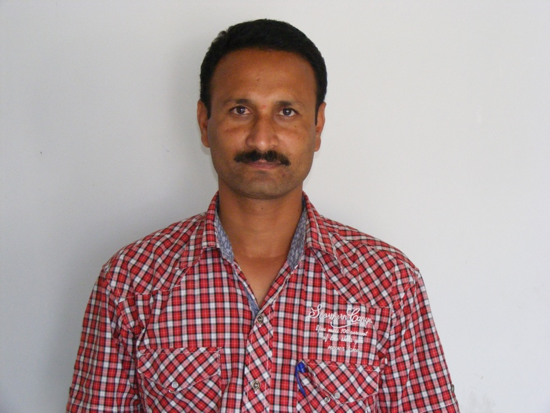 In order to solve this problem, he began developing the Laxmi ASU machine which on completion has transformed lives. Where earlier a woman could only make 2 ‘ASU’ patterns a day, they now churn out 7-8 patterns. And this innovation has won numerous awards. He has been honoured by Prime Minister Modi, President of India, Pranab Mukherjee, Chief Ministers and CEO’s. He as also been a TED talk speaker. The crowning glory was this Republic Day, when the government announced his name as a Padma Shri award winner for the year 2017 under the Science and Engineering category for his innovation of the ASU machine. 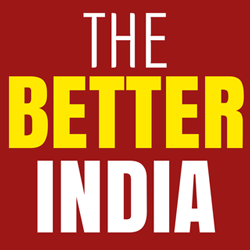 The NGO Palle Srujana had forwarded his nomination for this coveted award. 800 machines have been sold already to the bigger handloom weavers in the Nalgonda, Yadadri & Jangaon districts of Telangana. The small weavers cannot afford this machine. The machine costs INR 25000 & we are running this crowdfunding campaign to get this machine into the homes of 12 such (relatively poor) weaver homes. The poor weavers will be able to afford only 10% of the cost. 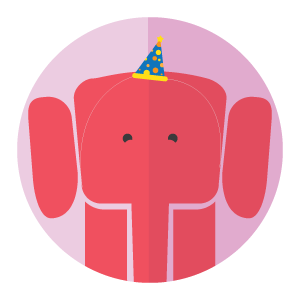 Jaypore.com will help fund the balance 90% amount! Jaypore.com is an online portal that looks to connect people to India&apos;s most beautiful products. They are about bringing the world a little closer together. They discover the best designs from artisans and craftsmen from all over India, and deliver them at exceptional value to our members. 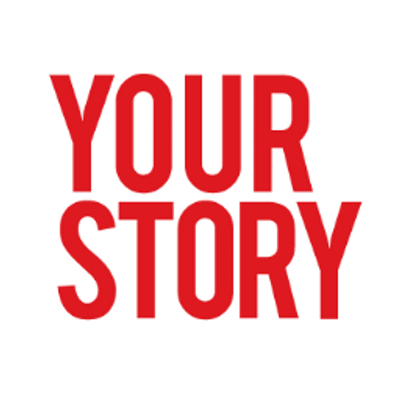 They are storytellers; weaving stories about amazing product, and the people behind them. Every day is a new story. They focus on products with unique, high quality craftsmanship; unmistakably local designs that feel at home anywhere in the world. Our products include home decor, accessories, jewellery, apparel, gifts, vintage items and more. Publication in Spice Jet Air magazine, India Technology journal, Technology review, Civil Society, many English, regional newspapers & many regional periodicals. A class 6 dropout (he privately appeared for & passed the 10th standard later), he spent almost 8 years developing a machine, which he named after his mother, which not only reduces the labour required to make a prized Pochampally saree, but also increases the volume that can be produced! He is 44 years old & lives in Aler, a town in Yadadri district (about 2 hours from Hyderabad). Mallesham has already made and sold over 800 such machines, but there are about 10000 families involved in the weaving trade. He plans to make another 2500 machines, but not all the weavers can afford the INR 25000 that each machine costs. He has turned to crowdfunding in order to subsidize these machines for the remaining families who rely on this very weaving for their livelihood. Your contribution will help transform the lives of these artisans by making it less strenuous & also by helping them earn a decent livelihood for their families. IMAGINE A SCHOOL DROPOUT WITH NO SUPPORT MAKING SUCH A DRAMATIC INNOVATION. 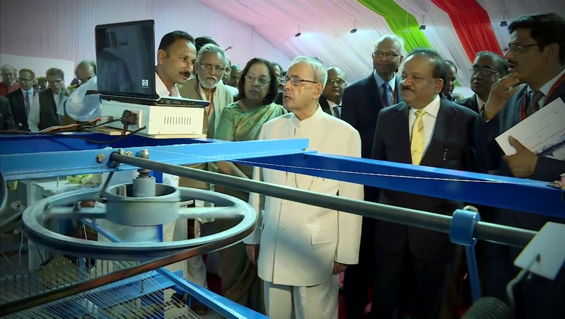 Pic: The Laxmi ASU machine has got Mr Pranab Mukherjee’s attention as Mallesham explains its features. 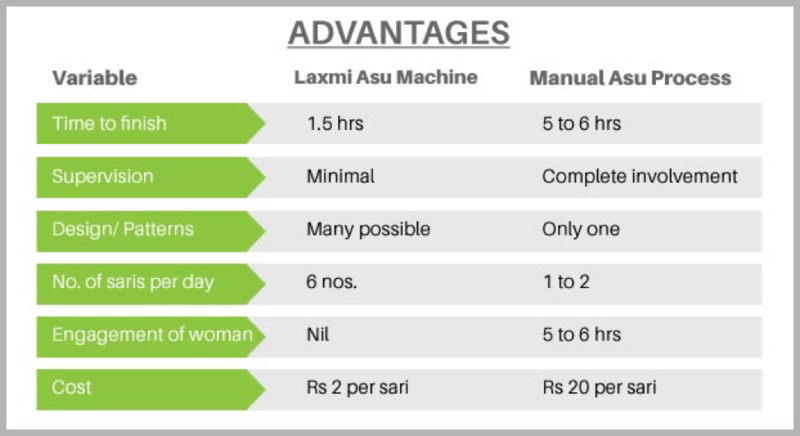 The Laxmi ASU Machine, is fully automated and only requires supervision, allowing for better productivity. Where earlier a woman could only make 2 &apos;ASU&apos; patterns per day, the machine now churns out 7-8 patterns without an attendant. There were a limited number of patterns that could be made with the traditional method, now with this machine, there are an unlimited number of different patterns that can be designed. This machine not only makes the weaving of Pochampally sarees easier and faster but it has the ability of transforming the very social fabric of the weaving community in the Nalgonda, Yadadri & Jangaon districts of Telangana. Pic: Table showing how the Laxmi ASU Machine helps transform lives of these women. Increased productivity means a better income. Women have the time to participate in the other aspects of weaving giving them more financial stability. The ownership of a Laxmi ASU Machine, gives a lot of these women an opportunity for self-employment as well. They also save money because they don’t have as many medical issues. Widows have taken this up and helps them reintegrate into society. Women have more time to spend with their families and to tend to other household needs. There are wider variety of sarees to pick from which has made these sarees more popular. The girl children now pursue higher education as they are not required to do the ASU anymore. Girls are married into families that have a Laxmi ASU Machine. Weavers who were leaving the profession due to its complexity now have a renewed passion for it. HIS FIRST CAMPAIGN RECEIVED MASSIVE PRESS & MEDIA COVERAGE INCLUDING A FRONT PAGE STORY IN THE TIMES OF INDIA! HOW THE MACHINE WAS BORN? Mallesham, started work on this machine in 1992. In the beginning, he decided to divide the entire operation into five frames. He built the parts piece by piece, not having any technical training, he got a lot of things wrong and spent the little money he had saved up. He would then weave sarees on looms for a while, earn some money and invest it into building the ASU Machine for his mother. This went on for 4 years. At the age of 24, he got married and the project was shelved for a year. During this year, he consolidated his ideas and with the support of his wife got down to building the machine again. After a little progress, he needed more funds and took loans from people in his village. When he could not repay them, he faced a lot of social stigma, where people accused him of working on a ‘machine’ rather than finding a way to make a living. The pressure became too much so he moved to Hyderabad carrying the partly developed ASU machine with him where he did casual labour, earned money and worked on the ASU machine. At no time in this journey did Mallesham forget his commitment to reduce his mother&apos;s pain. Pic: The highlighted three districts of Telangana are inhabited by more than 10000 weavers families engaged in Pochampally Tradition. The Laxmi ASU machine aims to increase the financial stability of the weavers by removing the drudgery and increasing the productivity. This move to Hyderabad came as a blessing in disguise. He saw a lot of different machinery at work and found a way to make progress on his machine. However, he was stuck at the last point where the thread moves to a different line. One day he was working in a machine shop in the Balanagar area in Secunderabad. In one machine, he noticed a movement similar to what his machine required. He immediately went to the workshop and had the kind of piece that he had seen made. He fitted this to his machine, he slowly operated it and to his happiness it worked! He took the completed machine to the house of a friend of his in Aler, who was a weaver. They tested the machine and it worked perfectly! Once this happened, the people made a beeline for Aler and the rest is history! Dec 2011 Entered into the Hall of Fame of Civil Society Magazine, Delhi. 2013 - Show cased as a natural leader in Corporate leadership Training modules. Dec 2013 - Invited to an International Conference in China . Apr 2015- “Kamla Award” conferred by Craft Council of India. 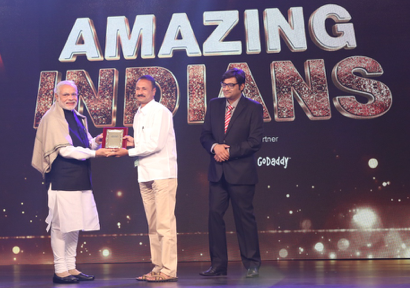 2015 “Amazing Indian” award by Prime Minister of India organised by “Times now”. We are currently raising funds to help poor weaver families who can only afford to pay 10% of the cost. The balance 90% is being crowdfunded. They are talks that the government may consider subsidies for this amazing innovation as they see it impacting weavers very significantly. If the government does offer subsidies the money collected through this campaign will still be used to fund poor weavers by further subsidizing the 10% amount also. 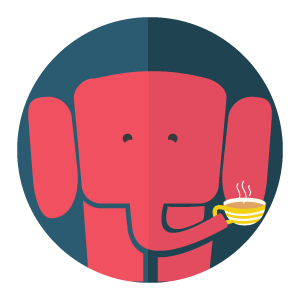 You will get your name engraved on one Laxmi ASU machine and a thank you call from Mallesham. You will get your name engraved on 2 Laxmi ASU machines and a thank you call from Mallesham. You will get your name engraved on 3 Laxmi ASU machines and a thank you call from Mallesham. You will get your name engraved on 6 Laxmi ASU machines and a thank you call from Mallesham.